Every summer the International Festival of Arts and Ideas returns to New Haven, bringing unique theatrical performances, public concerts, and lectures. While the festival does attract many visitors to the city, the core of the festival is rooted within the New Haven community. “The Arts and Ideas festival is an integral part of the New Haven community and brings people together in a meaningful way each year. It’s something I have enjoyed since I was little with my family and continue to look forward to each year even more now that I am old enough to appreciate some of the more adult performances,” said Grace El-Fishawy ’18. Residents of the city fondly recall old events and look forward to seeing what the festival brings each year. Saunders remembers taking a salsa lesson on the green that broke the Guinness World Record as the largest salsa lesson ever. “The lesson was with 2800 of my friends, neighbors, and fellow salseros. The feeling of participating in the lesson was incredible. The Green was packed with people from different backgrounds and experience levels, whether they were dancing or spectating everyone was having a fantastic time,” Saunders recalled. The International Festival of Arts and Ideas also provides opportunities for college and high school students to volunteer. “Volunteering at the Festival of Arts and Ideas over the past couple of years has been very rewarding for me. It has been a great way for me to connect with other people in the New Haven community and it has been a lot of fun participating in some of their great events over the years,” reflected Dylan Sloan ’18. This summer the festival will celebrate its twenty-first year in New Haven and feature over 170 events, including over 100 completely free public events. Theatrical performances take place in venues throughout New Haven while public events such as concerts, circus performances and activities appear on the central green. This year the festival welcomes many innovative theater productions such as The Square Root of Three Sisters, a production highlighting human endurance and family life, which will have its world debut at the festival this summer. Other highlights of the upcoming festival include Abraham.In.Motion, a modern dance and musical performance that examines racial tension and identity around the world, as well as Cirque Mechanics, a troop of acrobats who will perform live acrobatics to music on the New Haven green. 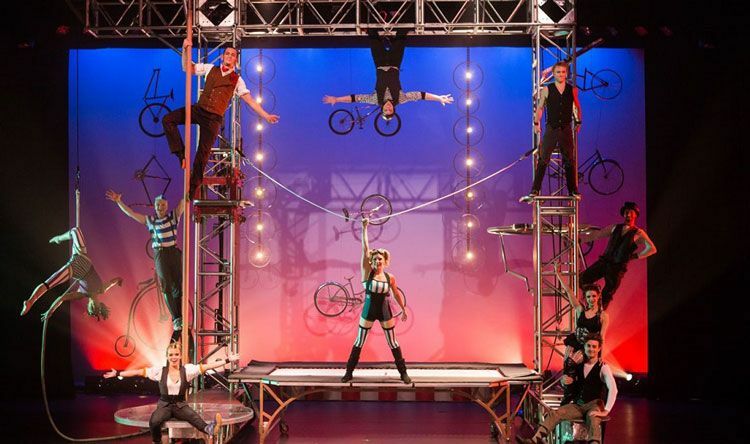 “I have never been to the festival before, but look forward to exploring it this summer and viewing the Cirque Mechanics on the Green,” said Rachel Hagani ’18. The festival provides opportunities to smaller modern theater groups as well, a feature that sets it apart from other arts festivals. “I love the festival because it brings together many unique groups from all over the world and gives them an opportunity to showcase their talent. There’s an incredible variety of performances during the Festival, and New Haven is so lucky to host it. There’s no better way to experience the wide range of talents from across the globe than to go to the Festival,” said Maliya Ellia ’19. The International Festival of Arts and Ideas will take place from June 12 to July 2 at various venues throughout the New Haven area.